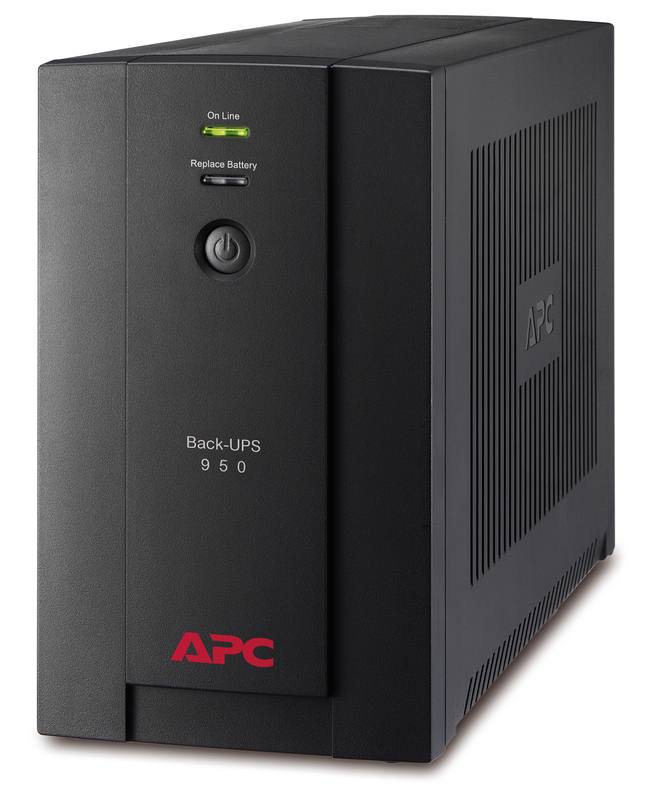 The Back-UPS 950 from APC by Schneider Electric powers your computer and electronic equipment during storms and outages.The BX950U-GR features Automatic Voltage Regulation (AVR). 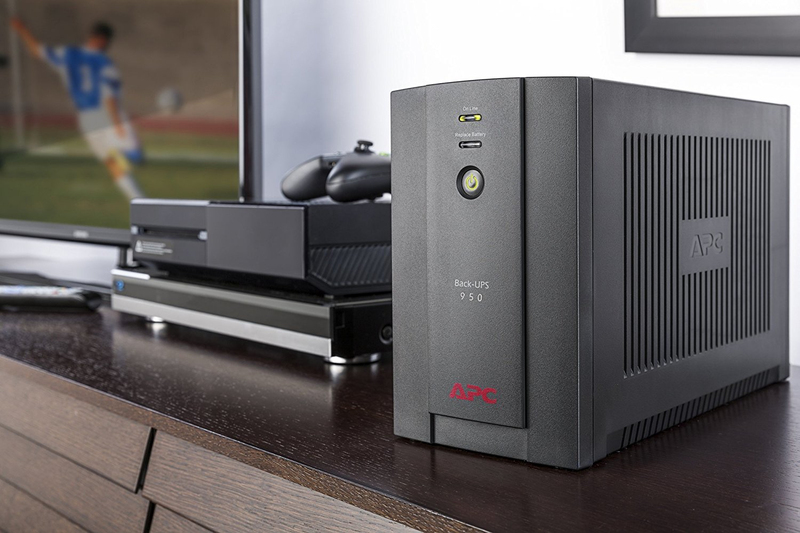 This feature instantly adjusts high and low voltage fluctuations to safe levels for connected electronics, saving battery power for when you need it most during storms and outages. 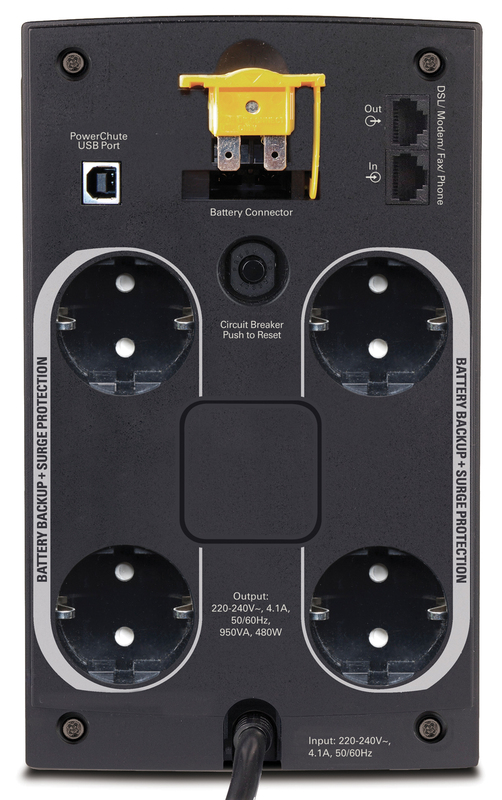 Equipped with 4 Schuko sockets, the 950 keeps your desktop computer, monitor or other critical devices (router, modem, television, etc.) running when the power goes out. 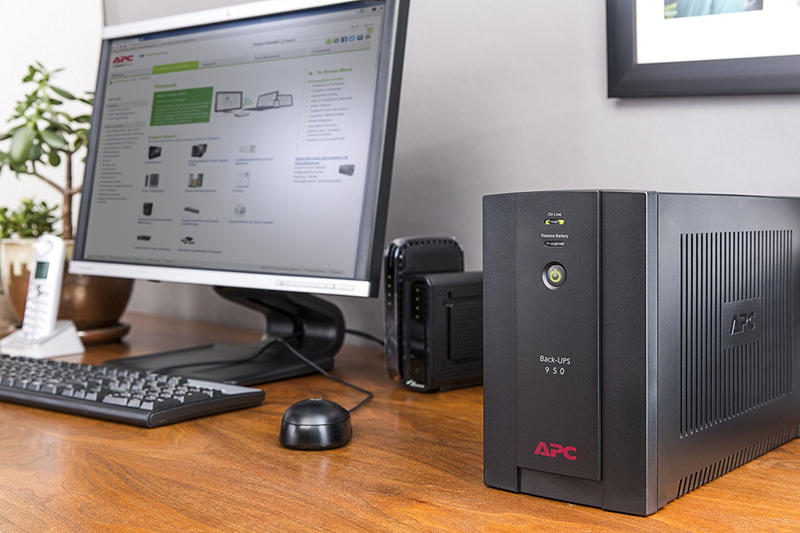 Specifically designed for electronic equipment in harsh power environments, the Back-UPS 950 maximizes productivity and work efficiency while providing critical power during emergencies.